Temples in Kanyakumari territorial dominion are far-famed all over the world for their glorious architecture. The people of Tamil Nadu are known for their spirituality and devotedness and majority of the population being Hindus in the state, there is no wonder that entire district of Kanyakumari is dotted with temples. Temples in Kanyakumari are not only famous for their magnificent architecture, but a bunch of mythical accounts connected with each temple makes them exceptional! A lot of temples in the district are age-old, constructed by significant rulers of South India. Some of the most temples in Kanyakumari district include Kumari Amman Temple, Thiruvattar Adikesava Perumal Temple, Thiruvanparisaram (Thirupatisaram) Kuralappa Perumal Temple, Suchindram Sthanumalaya Perumal Temple, Nagercoil Nagaraja Temple, Padmanabhapuram Saraswathi Temple, Kuzhithurai Mahadeva Temple, Kollencode Vattavila Bhadrakali Temple and so on. Let's find out more about the temples in Kanyakumari district along with travel guide and information for tourists. Kanyakumari Kumari Amman Temple is regarded as one of the most significant temples in the district. The Kumari Amman Temple is constructed in dedication of Goddess Kumari Amman, otherwise called Devi Kumari, or Kanya Devi, which stand for virgin Goddess. The main deity of the Kanyakumari Kumari Amman Temple is renowned for its nose ring (mookuthi). It is said that many vessels that carried passengers or freight had sunk near Kanyakumari due to the exceedingly shining glare reflected by the mookuthi of the deity. It is for this very cause that the adjoining temple doorway is continued shut during most times of the year! Legend has it that Goddess Parvathi was a fierce devotee of Lord Shiva and she practiced severe penance (thavam) to convince Lord Shiva to marry her. Notwithstanding, she was fated to kill Banasura - a thousand-armed asura, but she can do it only until she continues of being a virgin. It was therefore that the other divinities stopped the wedding so that the world could be saved from the nicety made by the asura. In the famous hymns (pasurams), Nammazhwar (one of the 12 azhwar saints of Tamil Nadu) mentions Thiruvattar as 'Valamikka vattaru'. Mahavishnu is mentioned as Sree Adikesava Perumal and Goddess (Mahalakshmi) as Maragadhavalli Thayaar. 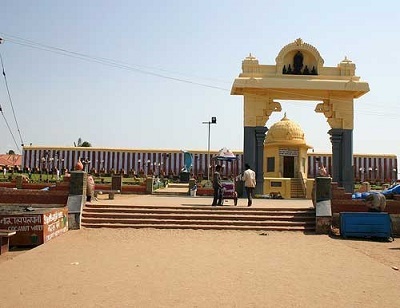 Thiruvattar Sree Adikesava Perumal Temple is located just 6 km away from the trade center of Marthandam and 30 km away from the municipality of Nagercoil in Kanyakumari district. The Adikesava Perumal Temple is bordered by Thamirabarani, Kothai and Parali rivers on three sides. Parazhiyar also known as Pahrali River adopts a bend in this location and it is known as vattaru and after the construction of the this temple, the place came to be addressed Thriuvattaru. The architecture of the Sree Adikesava Perumal Temple is illustrious that it is adopted as the model to build the Thiruvananthapuram Padmanabha Swamy Temple. The deities of Sree Adikesava and Sree Padmanabha are set up in such a manner that they face one another. The moolavar/main deity is lying on a snake couch (pallikonda perumal) and has to be looked at through trinity doorways. It is important to note that Lord Shiva can also be seen inside the Sanctum Sanctorum (Karbagraham) of the Sree Adikesava Perumal Temple. Must See: Single stone hall (Otraikkal Mandapam) built of a single stone 3 ft specific thickness, is a wonder! 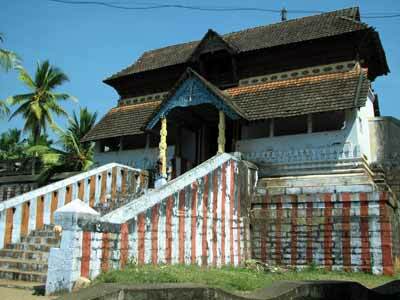 Sthanumalayan Temple in Suchindram, popularly known as Thanumalayan Temple is one among the most important temples of Shaivism and Vaishnavism branches of Hinduism, as the term Stanumalaya refers Thirumoorthigal, that is, Stanu means Lord Shiva, Mal means Lord Vishnu and Aya means Lord Brahma. 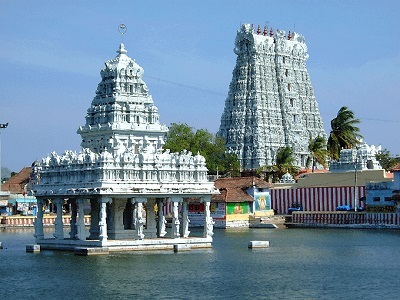 Suchindram Sthanumalayan Temple is world renowned for its architectural brilliance as the seven-storey amazing white temple tower is seeable from a far away distance. Its 40 m frontage is extended with awe-inspiring carvings of Hindu gods. Also, Suchindram Sthanumalayan Temple features four musical pillars in Alankara Mandapam area and they are made out of a single rock that stands at 5.5 m in altitude. The spacious dancing hall boasts as many as 1,035 pillars with fantastic sculptures on it. The spiritual implication of this religious site initiates from the singular information that the main deity of linga represent Lord Shiva, Lord Vishnu and Lord Brahma. The unique representation of the three fundamental deities of Hinduism in one lingam makes this temple a special site! Nagercoil temple is dedicated to Nagaraja which simply means Serpent King in English. It is believed that the name for the town Nagercoil/Nagerkovil was actually originated from this Nagaraja Temple. The Nagaraja Temple features various images of serpents and it is considered that the doorkeepers of the sanctum sanctorum are two serpents. The temple is a renowned place for devotees who wish to install Naga idols (serpent idols) in the temple complex. Also, it is interesting to know that devotees offer and pour milk and turmeric powder in every serpent statue as an important part of a visit to this temple.